When you buy these new EL SwaroVision binoculars, you will notice that they not only set the standard for premium handheld optics, but they go beyond it. They are the universal distance viewer for both day light or at dusk. They are a state of the art, newly designed optical system that gives intense sharpness of image and totally natural colour reproduction. 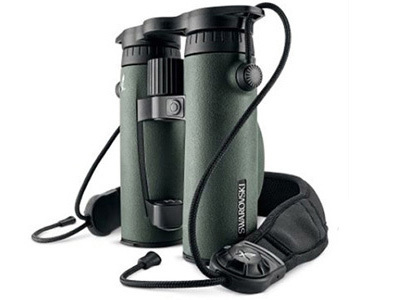 Swarovski Optik combines two invaluable outdoor tools into a single unit, the 10x42 EL Range Binocular/Laser Rangefinder. This combination of optic and rangefinder maintains the high-quality binocular design elements expected from Swarovski including the SWARO-BRIGHT broad-band anti-reflection multicoatings that minimize light loss, increases image brightness, and enhances color fidelity across the entire visible spectrum. 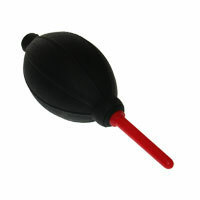 Its wide 63¡ã apparent angle of view makes spotting and tracking game and targets fast and easy. Added to the optical performance is a precise IR laser rangefinder that can measure distances up to 1500 yds with an accuracy of ¡À 1yd in less than a second. For stationary targets, use the single-measurement mode or track moving targets with the scan mode for continuously updated distances. The in-view LCD display shows distances in yards or meters, depending on your preference. A built-in inclinometer and SWARO-AIM ballistic algorithm works in conjunction to the rangefinder to measure the relative angle from the user to the target and display an adjusted distance for shooters to accurately compensate for the trajectory angle. A single button activates the rangefinder, and provides access to all the features, functions, and settings. To withstand the rigours of a life lived outdoors, the EL Range features a lightweight and durable magnesium alloy housing with a rubberised textured armouring that protects the optic while providing a slip-resistant grip. Its open-bridge configuration helps to balance the binocular in the hand, while giving the user a whole-hand grip for a more secure hold. The optical tubes are nitrogen-filled to give it fogproof performance in all weather, and O-rings seal the entire system allowing it to be submerged to a depth of 13 feet. The EL Range comes with the FieldPro package that includes a CR2 battery, tethered objective covers, a one-piece tethered ocular rainguard, an adjustable-length neoprene comfort neck strap with an improved attachment system, and a carrying bag.